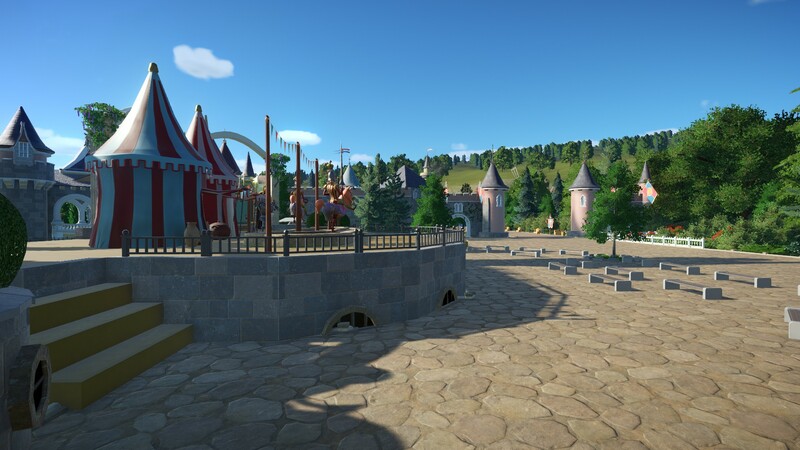 Looks great, although this really proves yet again how we are in dire need of better darkride options. These wizard cats really hurt the immersion and I don't get why we get all this spooky scenery if there isn't a single decent ride with which we can make a haunted house attraction. God I hope it doesn't take them till Halloween to create some! Anyway I see you've borrowed some ideas from other creators as well, but I think you've managed to create a coherent ride! My favorite details are the skeleton in the clock and the one in the bookcase. Apart from that, I was maybe expecting it to resemble the ride in Paris a bit more. 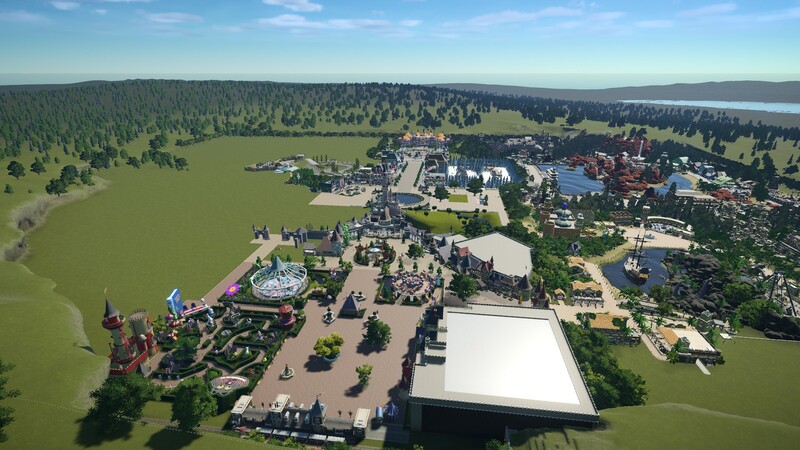 I can definitely understand that you looked at the limited amount of scenery options and the lack of an omni-moving dark ride and figured it would be best to create an original ride instead though. Either way it's a good looking ride and you did a great job at creating it! Wonderful video! Some cool useful ideas I saw in there like Tim mentioned! Hopefully we get better car options! That is quite the view! Very well done! ^ Is that a haunted area I see?! MASSIVE. More close-in shots would be cool, but just the scale of this recreation is really impressive!! I've poked around in the save file as it was about 2 months ago and it was so very impressive! There's so much to look at everywhere you turn! It's unbelievable the amount of effort that must have gone into making this. I will made a new gallery with closer shot. 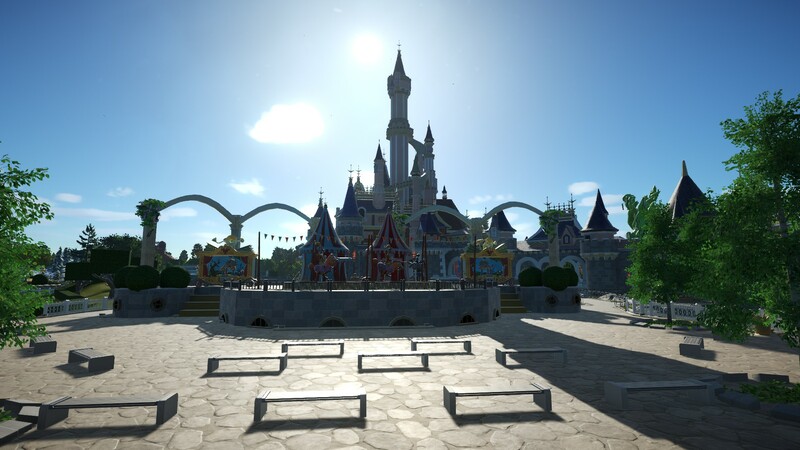 I wish to made Small world and pirates ride but I m stuck until they release another boat ride than the current one. A new gallery off 66 screen capture done via tegidcam mode. Wow, almost missed this, thinking it was just a comment by somebody else. Trying to sneak this past me, eh? Anyway, this park is fantastic. You've put so much attention to detail into this. Not just the buildings, but the 3D sculptures and props, some of which are simply amazing. Bravo! Great thing about Disney is you can never do too much, and these latest pics show that. That Lego dude looks so real you could've just photoshopped him in there My favorite thing though is the gazebo, just beautiful. 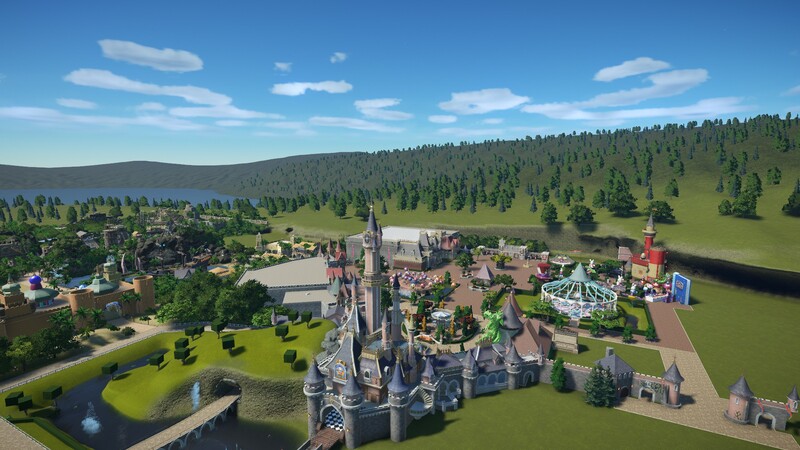 I have made it during the beta test of planet coaster, it was my sandbox before the real start a sort of proof of concept of what I have in mind. Of course today it's look like beginner and sort of chaotic construction but all the milestone I need for my current project was already here. 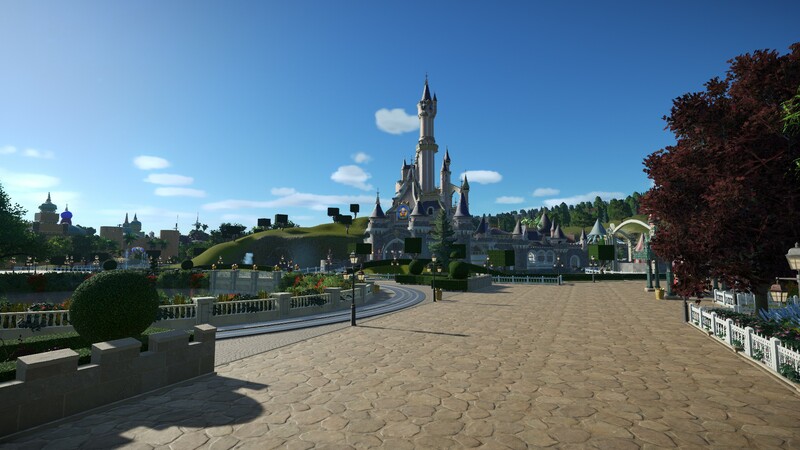 And now, my finished Disneyland Paris Central plaza, ready for the fireworks! 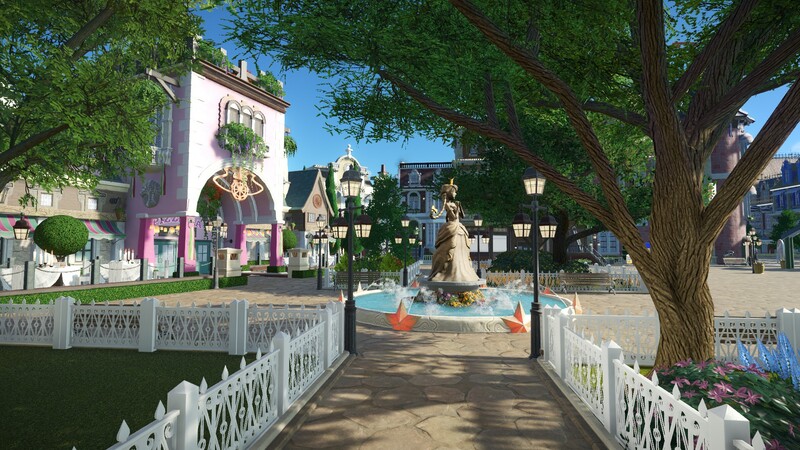 Love the fountain and the stage! Very disney! Sort of like Epcot fountain meets DLP. Wow. 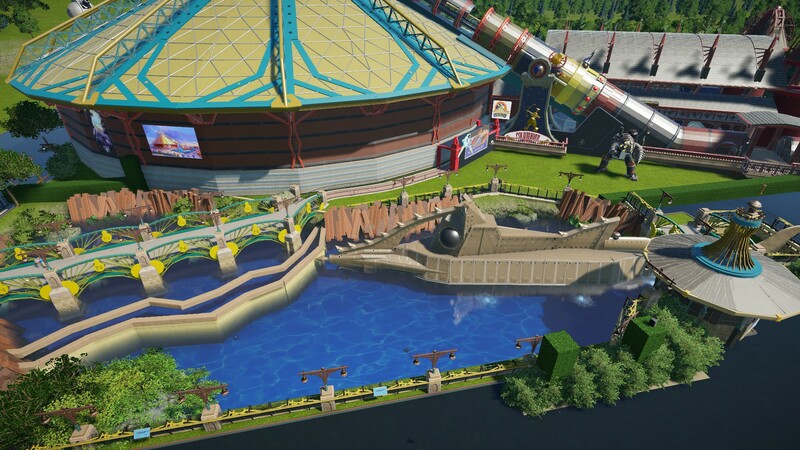 The entire Space Mountain area, Nautilus included, looks just like the real thing. 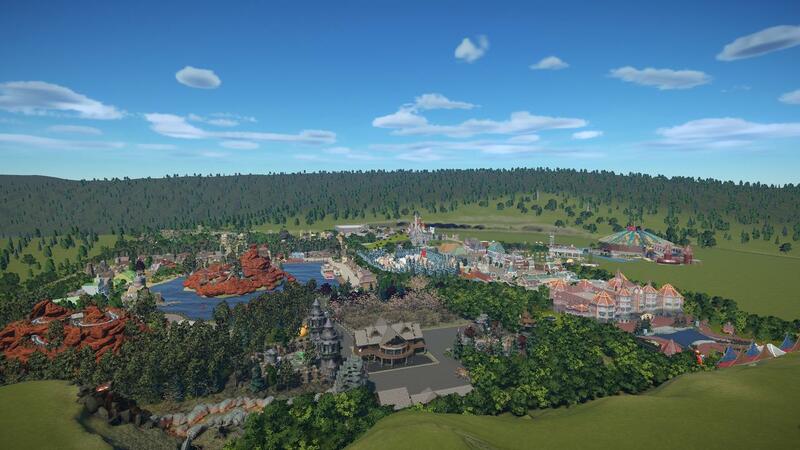 If this was RCT3, I would accuse you of just using Gadget's SM set. The castle is impressive as well. I must say, although your structures are brilliant, the layouts a bit wonky. 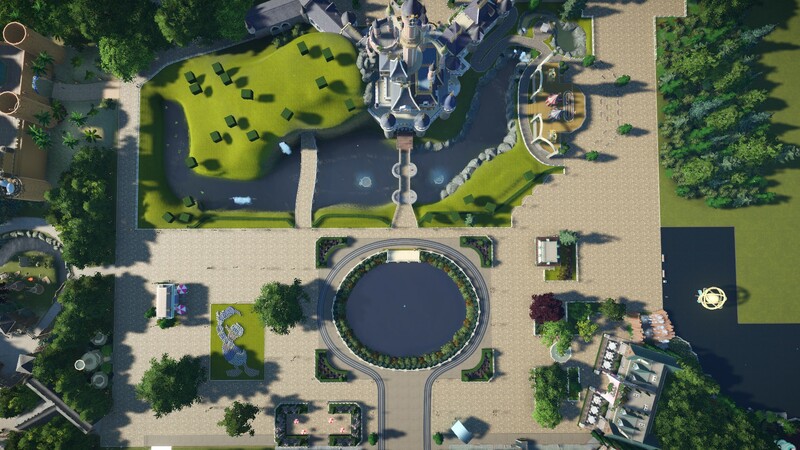 The central plaza and Fantasyland are surprisingly grid like. I feel like you could take advantage of PC's curves better in these areas. Thank you for this feedback ! How much of this did you create yourself? 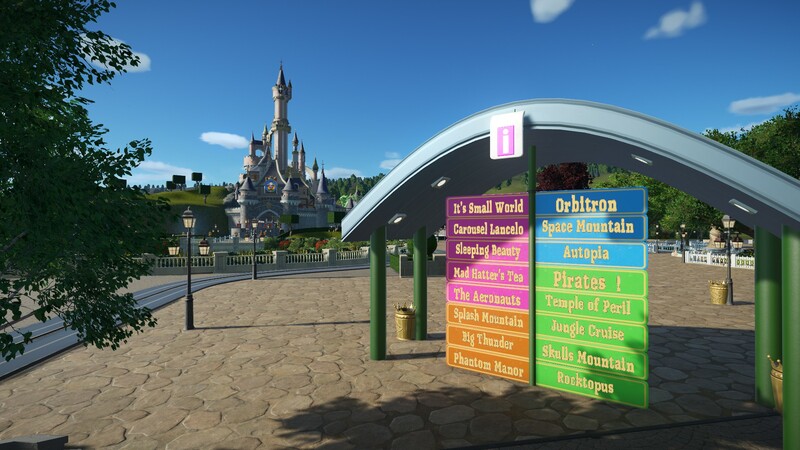 It seems that I mistakenly praised you in an earlier post for the Space Mountain complex when really it is RudiRennkamel whom deserves praising. 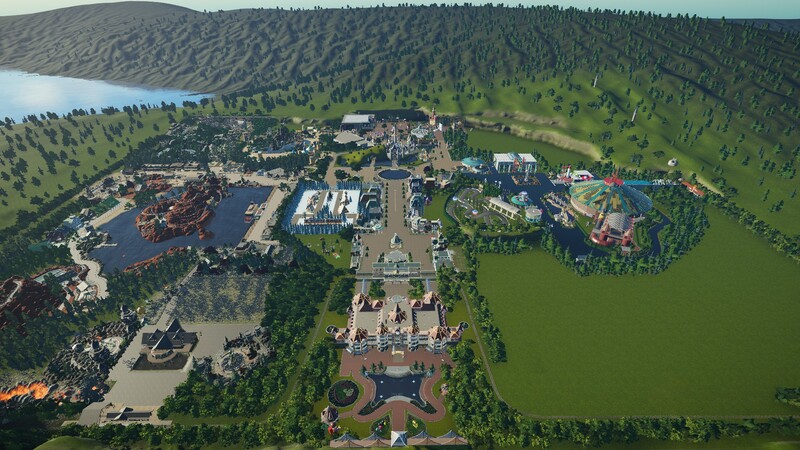 Correct me if I'm wrong, but it looks identical to the complex in your park. It would have been polite for you to have credited those who deserve credit, for future reference.